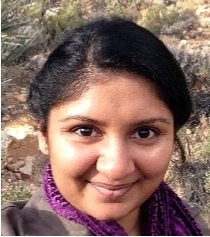 Preeti (pronounced pree-thee) Veerlapati joined the staff of the Reva and David Logan Foundation as the Grants Manager. She is responsible for reviewing grant proposals in all our funding categories, coordinating the implementation of grant awards, answering questions from grant seekers about the Foundation’s guidelines and funding strategies and much more. Passionate about the arts, she was recently the Associate Artistic Director and Operations Manager for the Kalapriya Center of Indian Performing Arts where she taught, danced, choreographed, and where she instituted processes and procedures to assist the organization on its growth trajectory. She is also the co-founder/director at Ishti Dance Collaborative, an Indian classical-contemporary dance company. Prior to that, Preeti worked for 9 years at Accenture as a Project Manager developing and implementing global IT solutions. She has degree in Business with an emphasis in Entrepreneurship and Computer Information Systems from Indiana University’s Kelley School of Business. 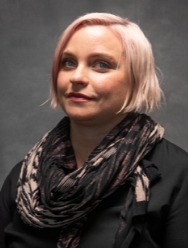 Jessie Mott joined the staff of The Reva and David Logan Foundation as Program Officer in July 2018. She is primarily responsible for reviewing grant proposals and communicating with prospective and existing grantees, with a focus on social justice. Jessie has substantial experience working in the non-profit arena in both development and direct service. Most recently, she worked for 8 years at Test Positive Aware Network (TPAN), an HIV-service organization in the Edgewater community that provides prevention, wraparound support, and advocacy for people living with and affected by HIV and related health conditions. She implemented an art therapy program, performed HIV and hepatitis C rapid testing, oversaw a treatment education program, and contributed administratively via grant writing and program evaluation. Jessie has a Master’s in Fine Arts from Northwestern University’s Department of Art Theory & Practice, and will be completing a Master’s in Social Work degree in May 2019 from Loyola University of Chicago’s School of Social Work with a certificate in non-profit philanthropy. 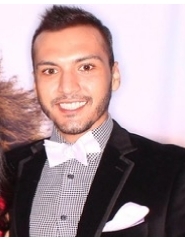 Chris Huaracha joined the Reva and David Logan Foundation in November 2018 as the Accounting Manager. Originally from the Cleveland and Houston areas, Chris attended Miami University in Oxford, Ohio, where he received his Bachelors degree. He initially began working for a biotech firm in Cincinnati, Ohio, where he began his career in accounting. Chris later relocated to Chicago because of his love of the city, and held positions in accounting, finance, and human resources.